Stansted Airport is delighted that 10 of its car parks have been granted the prestigious Park Mark award. Neil Banks, Head of Passenger Services at Stansted Airport, said: “We are delighted that London Stansted has been awarded the coveted Park Mark award for our 10 passenger and staff car parks across the airport site. 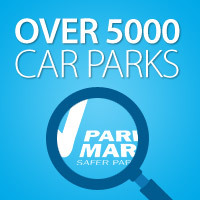 This is a great achievement and a fantastic endorsement of all the hard work we have undertaken to ensure our car parks are safe and secure for our customers. Stansted Airport has 10 car parks totalling more than 26,000 spaces across short stay, long stay, meet and greet and staff services catering for almost 25 million passengers every year. 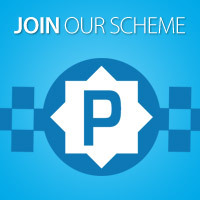 Graham Chapman, British Parking Association Area Manager, said: “I am very pleased to welcome Stansted Airport Limited into the safer parking scheme and to be able to grant 10 Park Mark awards plus one more pending for July.